If you are enrolled in one of our production courses, you'll be able to check out any of the below items that you have been trained on for your class projects. Our equipment is upgraded, updated and built up throughout the year, every year. Lights are checked out in kits with barndoors, scrims, stands and sandbags. In our production courses, you'll get exclusive 24/7 access to our postproduction lab. Our Macs run Adobe Premiere (and the entire Creative Cloud), Final Cut Pro, and a variety of other postproduction and screenwriting programs. The room is outfitted with speakers for sound mixing, an HD monitor for color correction, and whiteboard space for outlining and scheduling. 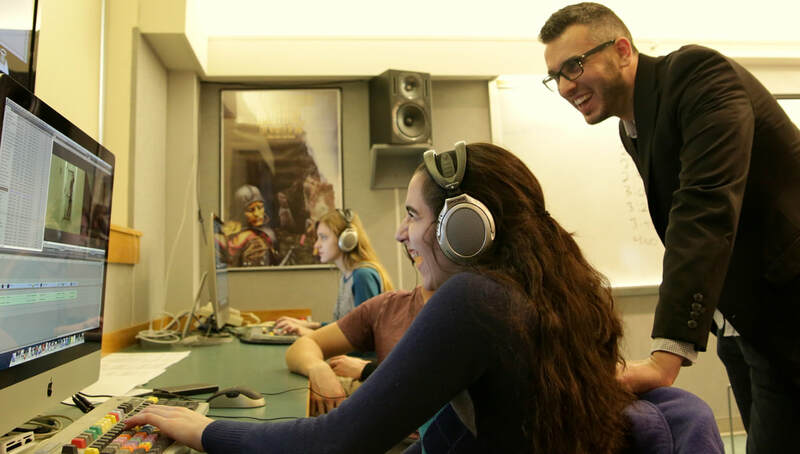 The lab functions as a production classroom, a communal creative space for students to work on their ideas together, and even a screening room where you can project your work in HD. 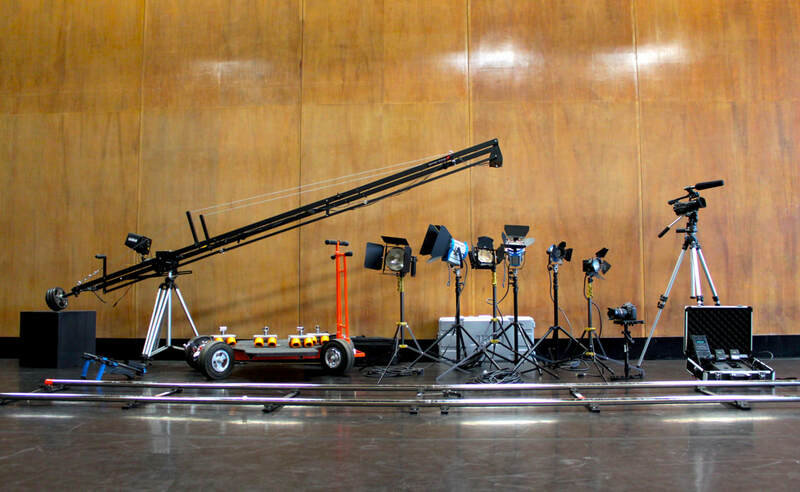 If you're enrolled in a filmmaking course, you'll have access to the Production Room. The Production Room is a seminar-style room outfitted for all a film student's needs including a wall-to-wall whiteboard, an HD monitor for playback, and wireless computer display capabilities. Like the postproduction lab, you'll have exclusive access to this room 24/7.